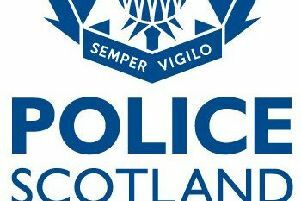 Police have appealed for information after an elderly woman died in a road collision near West Linton yesterday (Wednesday, October 11). The incident took place on the A701, Broughton to Leadburn, around a quarter of a mile south of the A72 at Blyth Bridge around 11.50am. A silver-coloured Honda Jazz, travelling northbound, left the road and overturned before coming to a stop in a field. The 86-year-old female driver was sadly pronounced dead at the scene. A passenger in the car, an 84-year-old woman, was taken to the Edinburgh Royal Infirmary with non life-threatening injuries. The A701 was closed between the A72 at Blyth Bridge and the A721 at Kirkdean, and reopened around 4.20pm yesterday. PC Paul Gibson of the Road Policing Unit said: “Our condolences go to woman’s family and our thoughts remain with them, as well as her friend and passenger, at this sad time. Anyone with information can contact Police Scotland on 101, quoting incident number 1276 of October 11.